John Malkovich, the charismatic actor, producer and director whose big-screen career spans more than 25 years, will make a rare appearance in Ystanbul this week when he arrives here to receive an award honoring his body of work during the Ystanbul International Film Festival. The 56-year-old Malkovich will receive the Ystanbul International Film Festival’s Cinema Honor during a ceremony on Friday at Emek Theater in Beyo?lu ahead of a screening of the Icelandic film “Brúdguminn” (White Night Wedding) at 1:30 p.m., the festival’s organizers said in a written statement on Tuesday. The two-time Academy Award-nominated and Emmy-winning Malkovich, who has appeared in over 70 motion pictures over the course of 25 years, will also speak at a press conference ahead of the ceremony, the Ystanbul Foundation for Culture and Arts (YKSV) said in the statement. Malkovich, who last appeared in Turkish theaters as Reverend Briegleb opposite Angelina Jolie in Clint Eastwood’s “Changeling,” plays the leading role in “Disgrace,” which is in the running in the Ystanbul film festival’s international feature competition. Adapted from Nobel Prize-winner J.M. Coetzee’s 1999 novel and directed by Steve Jacobs, “Disgrace” tells the story of a South African university professor who loses his reputation, his job, his peace of mind, his dreams and even his daughter’s well-being and safety after he seduces one of his students. 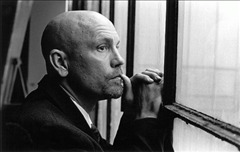 The film, starring Malkovich as David Lurie, had its world premiere at the Toronto International Film Festival in 2008, where it won the International Critics’ Award. The film’s Ystanbul International Film Festival screenings are scheduled for April 15, 16 and 18.